The 2018 Winter Olympics are here. The Olympic games will officially begin on February 9, 2018, in PyeongChang, South Korea, and will run until February 25. The Winter Games feature 15 different sports split up into subcategories. Fans of the Olympics can bet on each sporting category throughout the event. Our team of online betting analysts put together this page to inform bettors on how Olympic betting works, which sports to bet on, teams to watch and much more. You still have plenty of time to prepare for how you are going to lay out your bets, but it is never a bad idea to get an early jump on your strategy and analysis. Below we review the top rated online sportsbooks that are legally licensed to accept USA players. 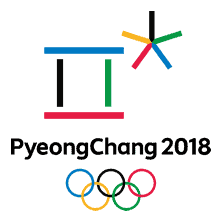 Each of these sites are what we consider to be the most reputable in the industry and offer a wide range of betting options for the upcoming winter Olympic games in PyeongChang South Korea. In case you haven't heard of Bovada, they are considered to be the most reputable online sportsbook that accepts U.S. players. They are legally licensed and have an impeccable reputation for being honest and fair with players. They offer new players a generous 50% signup bonus up to $250 free that can be used to bet on the Winter Olympics or any other upcoming sports event you would like including the Super Bowl. All in all they are truly a great option for USA players looking to play with the best. South Korea has been bidding to host an Olympic games competition for some time. PyeongChang was chosen back in 2011. At the time, only 2 other locations had put in a bid to host. These were Annecy, France, and Munich, Germany. PyeongChang won with 63 of the 95 votes. The vote was held in Durban, South Africa, on July 6, 2011, by the International Olympic Committee (IOC). An interesting fact about PyeongChang is they recently rebrand the city with the capital letter “C” in its name. This was done to differentiate the location from North Korea’s capital city of Pyongyang. South Korea believed this rebranding would help them establish themselves on the international stage. This also helps avoid confusion for visiting fans when attempting to board flights to South Korea as opposed to communist-controlled North Korea. Hosting the Olympics is always a strenuous task. If you look at former Olympic venues Rio and Sochi, there were a host of problems. Rio’s facilities were nowhere near ready to host the international tournament and there was concern over the Zika virus. Sochi introduced #SochiProblems as a result of unfinished facilities and the terrible housing conditions for athletes. The IOC reported PyeongChang was 90% ready to go regarding its facilities back in October 2016. They held numerous test runs for the various stages over the course of 6 months. The 2018 Winter Olympics are spread out between 2 locations—the PyeongChang Mountain Cluster and Gangneung Coastal Cluster. The former location is hosting more events throughout the tournament. There are also non-competitive venues including the International Broadcast Centre, Main Press Centre, PyeongChang Olympic Plaza, PyeongChang Olympic Stadium, PyeongChang Olympic Village and Gangneung Olympic Park. Below are the 15 sporting categories bettors can wager on in the Olympics. We have included the specific events taking place in each category. Alpine skiing involves moving downhill on skis with fixed bindings. It is split into 2 realms—speed and technical events. The speed events are Downhill and Super-G and the technical events are Giant Slalom and Slalom. Alpine Combined is a blend of Downhill and Slalom. Biathlons are a mixture of cross-country skiing and rifle shooting. Shooting is split into 2 positions—laying down and standing up. Involves riding a sled down a slope at a fast rate of speed. Steering and braking responsibility is divided between the riders. Cross-country skiing involves crossing a snow-covered field in the shortest time possible. There are uphill, level and downhill fields for athletes to traverse. Curling is one of the more recent sports to gain popularity. It involves players guiding a curling stone into a target area. Players use brooms to smooth out and brake the track for the curling stone. Athletes perform acrobatic routines on skates. Participants are judged on the difficulty and accuracy of their performance. Freestyle skiing is like figure skating but on skis. Athletes compete at high rates of speed and perform various acrobatic moves. Olympic hockey is the same as performed in the National Hockey League. Ice luges are similar to street luges—athletes lay down in a sled and race downhill. They are competing for speed over the course of several runs. Nordic combined mixes ski jumping and cross-country skiing together. Each athlete competes in both categories. Skating competition taking place around a short-distance circular track. The track is significantly smaller than the speed skating rink. Skeleton is similar to the luge event except the athletes slide face first on their stomachs in an open-air toboggan. The sport is considered very dangerous. Skiers accelerate down a ramp and make a jump. They are judged for distance and their landing in the landing zone. Snowboarding is like surfing in the snow. Athletes are judged on the style, accuracy and difficulty of their runs. 2 athletes race around 400m circular ice rink. Skaters are supposed to change lanes throughout the race in the “in” and “out” zones. For the first time in Winter Olympics history, Big Air Snowboarding, Team Alpine Skiing, Mass Start Long Track Skating and Mixed Curling will be a part of the events. There are a range of bets to be placed during the 2018 Winter Olympics. The most popular sports to bet on are ice hockey, cross country skiing and alpine skiing. There will be a series of standard, future, prop, parlay and live bets available over the course of the tournament. Below are some examples of common bets. This involves betting on the winner of certain events well ahead of time. For example, you would bet on Germany to win the gold medal in Hockey before the hockey tournaments even start. In betting terms, this is known as a future bet. This involves betting on which nation will come away with the most gold medals. This would be another example of a future bet, as the odds of this will obviously shift with each nation’s performances. Head-to-head, or h2h, bets involve wagering which country out of 2 will win the most medals. This is the true test of pride and confidence in your country. For example, you could place a h2h bet between Germany and Norway. Live, or in-play betting, involves placing wagers during the course of an event. The standard betting format is placing wagers before an event starts. An example of a live bet in the Winter Olympics would be placing a wager on a team during the second period of a hockey game for a team to score during the third. Live betting lines expire faster and usually have higher payouts. Each year there are several nations projected to sweep the Olympics. These are typically nations with colder climates where athletes can practice throughout the year. As of now, the following nations are predicted to be the best: Norway, Germany, USA, Canada and Netherlands. This information may be subject to change as the tournament draws nearer. 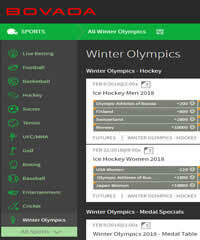 Official Website Of The Winter Olympics: This is only an informational website and does not offer any betting options. However it's an excellent resource to follow the latest news, even schedules, results and more.